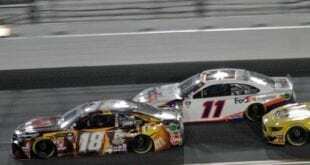 Christopher Bell may not have had the dominant car in Friday’s (Sept. 21) Go Bowling 250 at Richmond Raceway, but a late-race restart gave the No. 20 car the shot it needed to sweep the season at the short track. The night started off as good as it can get for Bell, who won the pole, just ahead of Dale Earnhardt Jr. Bell took off on the drop of the green flag but ended up finishing second in the opening stage after a classic four-way battle for the lead with Earnhardt, Daniel Hemric and Justin Allgaier. In the second stage, Bell led before Earnhardt got by for the stage win. The final stage looked like it was going to be the same result, but a caution with 31 laps to go changed the race. Bell’s pit crew got it done on pit road and he had a solid restart, jumping to the lead and cruising to his fifth victory of the season. Ross Chastain finished runner-up, following his victory last weekend at Las Vegas Motor Speedway. Hemric finished third, while Earnhardt and Matt Tifft rounded out the top five. He’s back. Well, at least for one race. 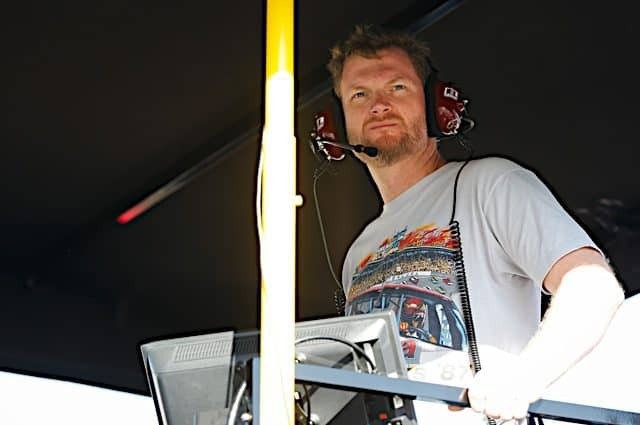 Prior to announcing his retirement from full-time NASCAR competition in April of 2017, Richmond 2018 was marked on Earnhardt XFINITY Series schedule. The reason? Hellman’s wanted him to drive, and JR Motorsports reaped the benefits of awarding other drivers sponsorship. But the competitive Dale was back in the Go Bowling 250, leading a race-high 96 laps, and hadn’t it been for a late-race caution, the No. 88 team would have been celebrating in Victory Lane as he checked out during the final stage. 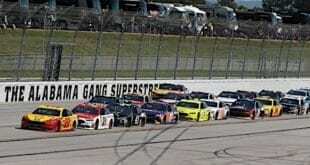 However, it wasn’t meant to be and Earnhardt finished fourth in his lone race of 2018. “It’s easy to be disappointed because we didn’t win and we should have, but I didn’t do a good job on that one restart — just spun the tires,” Earnhardt said to a herd of media members. “I tried to get the throttle down and the damn thing just spun the tires. Earnhardt was grinning from the moment he was stepping into the car for an 8:30 a.m., yes 8:30 a.m. practice session, something he’s always been outspoken against. However, this was his one opportunity to go racing this season. In the pair of practice sessions, the No. 88 car was fifth in the opening practice, but only 16th in the final session. However, once he put the Chevrolet on the front row, you knew he was going to be a force to reckon with. It was almost a storybook ending, and had he won he probably should have dropped the mic and screamed: “I’m done.” It was the first race he’s competed in since his daughter Isla was born in May, and he did his daughter proud, even though he knows she won’t remember a moment of it. “Probably right around that first stage,” Earnhardt said on when he figured out he’s still got a little something. “Think about when a baseball player takes months and months off, gets back out there, they don’t pick up where they left off. The sport is a lead, the drivers are a lead. This ain’t a hobby. The drivers are the best and some of these guys will still be winning races and championships one day. Indeed, Earnhardt had fun, the fans had fun, soaring to their feet when the No. 88 took the lead for the first time. He believes it will happen next year, possibly at Atlanta. Friday night was a win for NASCAR. Late in the race, all 12 XFINITY playoff were drivers in the top 14 positions. But on a restart with 24 laps to go, all hell broke loose. While battling for eighth, a quartet of playoff drivers attempted to go four-wide into Turn 3 but didn’t come out unscathed. Cole Custer had a bad exit of Turn 2, dropping multiple positions, three-wide in between Justin Allgaier and Ryan Reed. Heading into the turn, Austin Cindric tapped the No. 00, sending Custer into Allgaier. The No. 7 backed it into the fence. 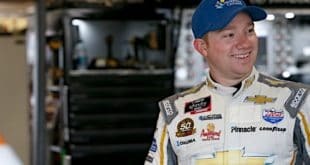 With the 32nd-place finish, Allgaier drops to third in the championship standings, though he’s still 23 points above the cut line for the Round of 8. Meanwhile, Custer, who finished 15th, is tied with Brandon Jones for the last playoff position, and the tiebreaker would go to the No. 19 team. Cindric and Reed are 11th and 12th, respectively, but within striking distance of the cut line heading to the ROVAL. Another race, another wreck for the No. 60 team. This time, it was off the front end of a teammate, as Reed turned Ty Majeski down the backstretch where the No. 60 slammed the inside wall. For the second straight week, it got airborne. It’s one of those things where it doesn’t matter who’s driving the car, the No. 60 has bad luck, as it’s been involved in 23 incidents this year. 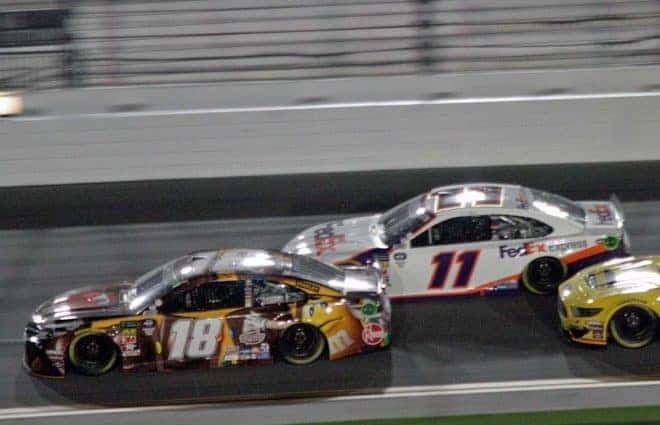 Majeski wasn’t having a stellar night by any means, though he was ahead of Reed for much of the race. Then he got dumped by his Roush Fenway Racing teammate. This marks the 17th time in 27 races this season that the No. 60 ride has finished outside the top 20. Majeski has one of its three top 10s at Iowa Speedway with a seventh-place effort. Put it this way, that won’t be a fun competition meeting on Tuesday at RFR. Mason Diaz…. ever heard of him? If you don’t keep up with series outside of the top three national touring divisions, probably not. 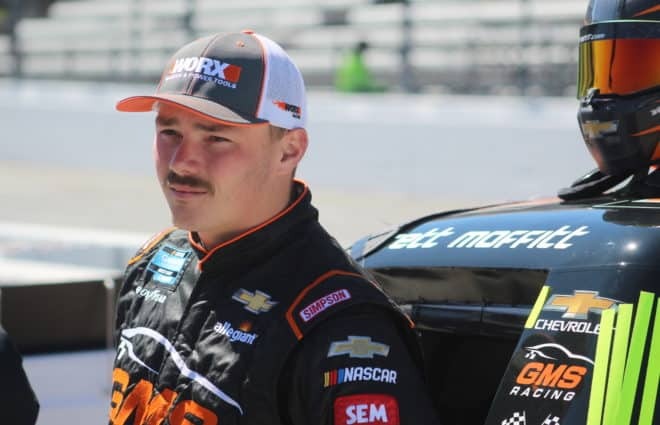 However, he made his XFINITY Series debut on Friday for Brandonbilt Motorsports, and what a performance he put on in the No. 90 car. Diaz qualified 22nd for his debut and gained a few positions during the duration of stage one to 20th. The second stage was much of the same, though he improved one position to 19th, plus he was the free pass car at the stage break. Regardless of where he finished, it was going to be a positive night for Diaz. 3 Straight Top 20’s for our BMS team, with 3 different drivers. “The beginning of the race, I was just trying to feel it out with what everyone was going to do,” he said. “I was just trying to read what everyone was going to do because I’m new in their league. Once I figured that out, I passed a couple cars and got to 20th. After running the majority of the race either just inside or just outside the top 20, Diaz took the checkered flag in 19th, the last car on the lead lap. Meanwhile, he was surprised by the solid finish. 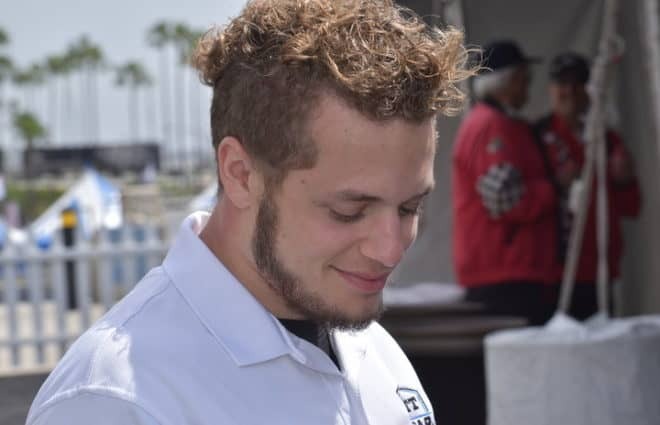 It’s undetermined when Diaz’s next race will be, but Brandonbilt Motorsports is going full-time racing in 2019. Who knows? Maybe he will be among the driver lineup. For the rest of the season, drivers battling for Cup points are ineligible to race in the XFINITY Series. However, Ross Chastain, who will drive the No. 15 for Premium Motorsports on Saturday finished second, coming off his victory last week. 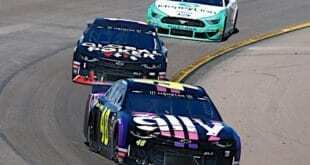 Other Cup drivers in the field were Joey Gase, finishing 22nd and Timmy Hill in 36th. Overall, the opening 50 laps of this race was some of the best short track racing in the XFINITY Series in a long, long time. 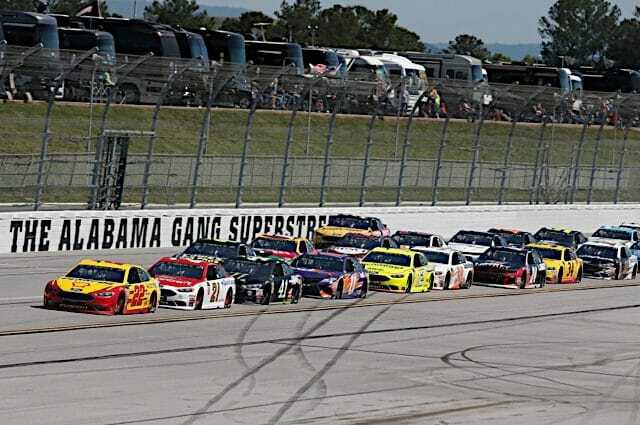 There were constant battles for the lead, whether it was Allgaier and Earnhardt, Allgaier and Bell or Bell and Hemric. Classic racing. Richmond has had its ups and downs when it comes to competitive racing, but since it began to wear tires on a constant basis, the racing has been superb. This was no different. The series heads to the ROVAL next weekend at Charlotte Motor Speedway for the final road course event of the season. There will be an open test on Thursday (Sept. 27) as it will be the first time teams have ever turned laps at the 17 turn track. 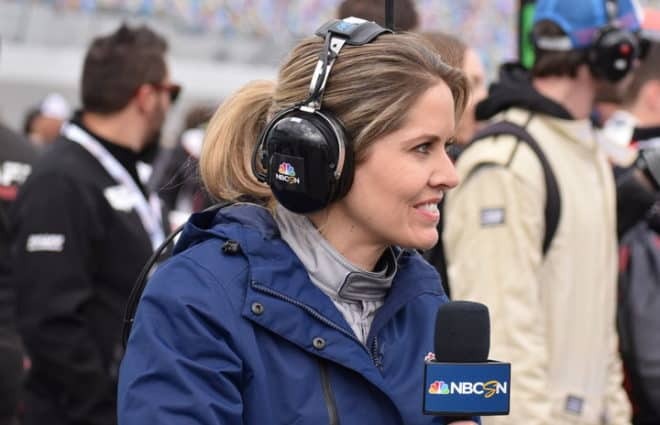 Rain is in the forecast all of next weekend, which would make the middle race of the opening round of the playoffs even that much more of a wild-card race. When did “most popular” ever have it? Despise him.